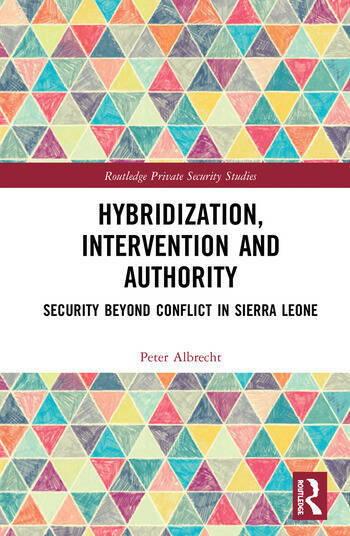 This book explains how security is organized from the local to the national level in post-war Sierra Leone, and how external actors attempted to shape the field through security sector reform. Security sector reform became an important and deeply political instrument to establish peace in Sierra Leone as war drew to an end in the late 1990s and early 2000s. Through historical and ethnographic perspectives, the book explores how practices of security sector reform have both shaped and been shaped by practices and discourses of security provision from the national to the local level in post-war Sierra Leone. It critiques how the notion of hybridity has been applied in peace and security studies and cultural studies, and thereby provides an innovative perspective on IR, and the study of interventions. The book is the first to take the debate on security in Sierra Leone beyond a focus on conflict and peacebuilding, to explore everyday policing and order-making in rural areas of the country. Based on fieldwork between 2005 and 2018, it includes 200+ interviews with key players in Sierra Leone from the National Security Coordinator and Inspector-General of Police in Freetown to traditional leaders and miners in Peyima, a small town on the border with Guinea. This book will be of much interest to students of critical security, anthropology, African politics, policing, development studies, and International Relations. Peter Albrecht is a Senior Researcher at the Danish Institute for International Studies (DIIS). His main focus is on the role of local actors in order-making, specifically in Sierra Leone and Somalia, and national-level security sector reform. He has co-authored a number of books, including Reconstructing Security after Conflict: Security Sector Reform in Sierra Leone (2011) and Securing Sierra Leone, 1997-2013: Defence, Diplomacy and Development in Action (2014) and co-edited Policing and the Politics of Order-Making (Routledge, 2015). He has published several articles in the Journal of Modern African Studies, the Journal of Contemporary African Studies, the African Studies Review, Ethnos, Cooperation and Conflict, and others.